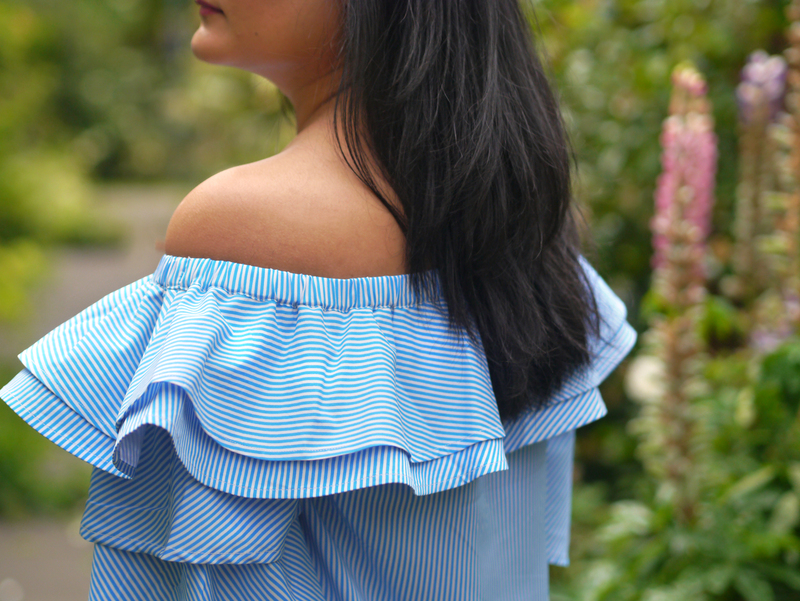 A big trend this summer has been the bardot and off the shoulder dress. This look is so flattering and feminine, whilst being perfect for the summer weather. 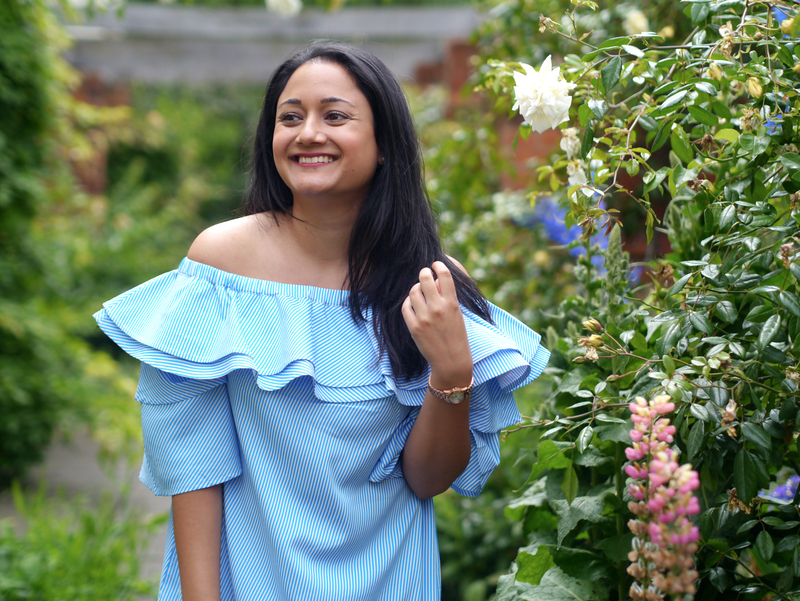 I recently bought this gorgeous blue bardot dress from White cove at ASOS which is ideal for a summer day out. 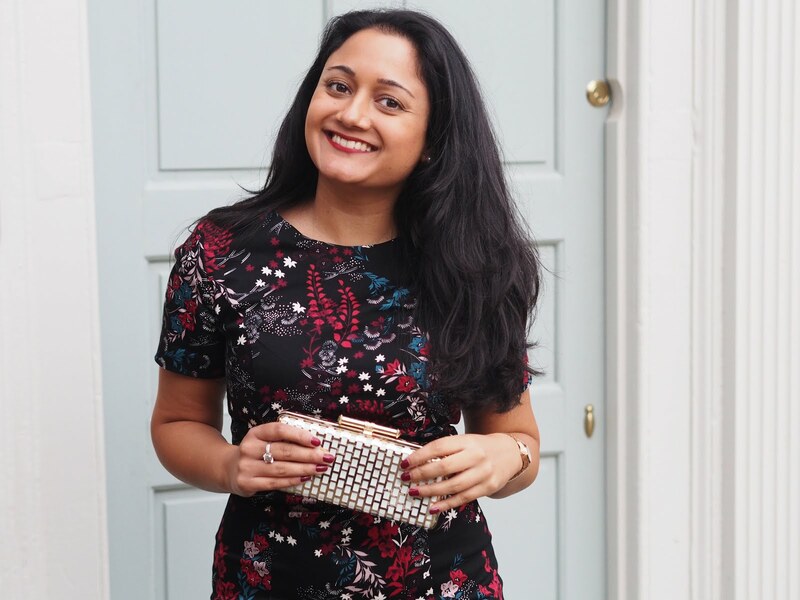 Read on for my tips on finding your perfect bardot dress and styling it. Firstly I would recommend researching and trying on different lengths of dresses to see what suits you. As a petite girl, shorter dresses suit me more so I decided to pick this mini dress from White Cove as it falls just above my knee. 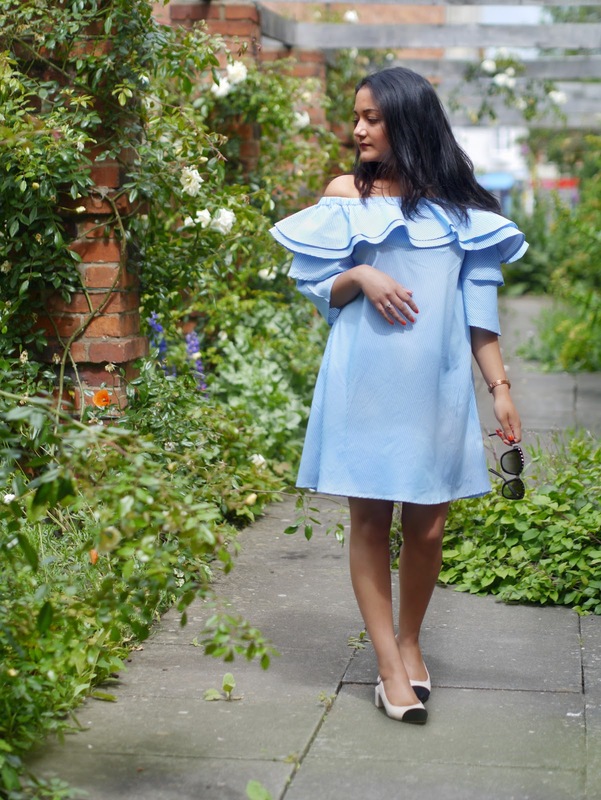 I always try to go for things that are slightly different or unusual, so when I saw the ruffles on this dress I was instantly attracted to it! 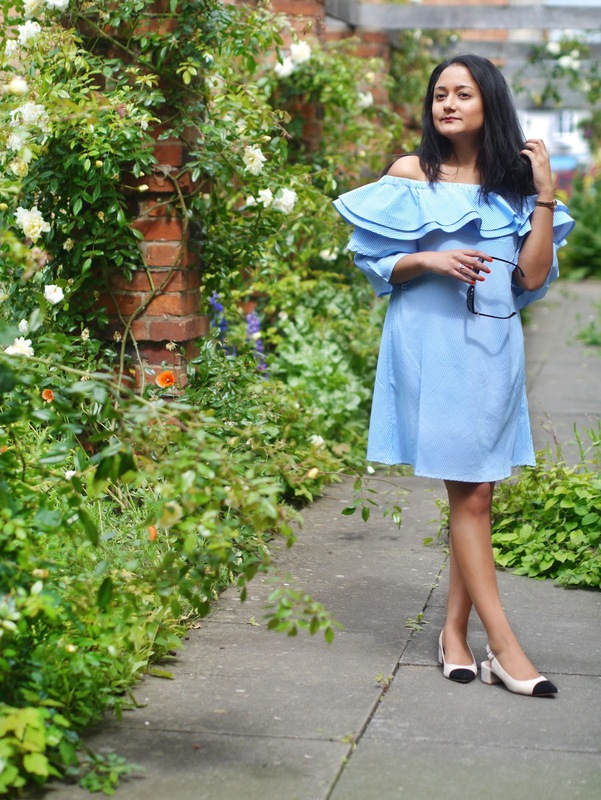 Being petite, at first I didn't think they would suit me, but after trying the dress on, I loved the way the ruffles complement the dress and they add an extra element of detail to it. For a summer look like this, the shade of colour is also important, so I would choose light colours or pastels. 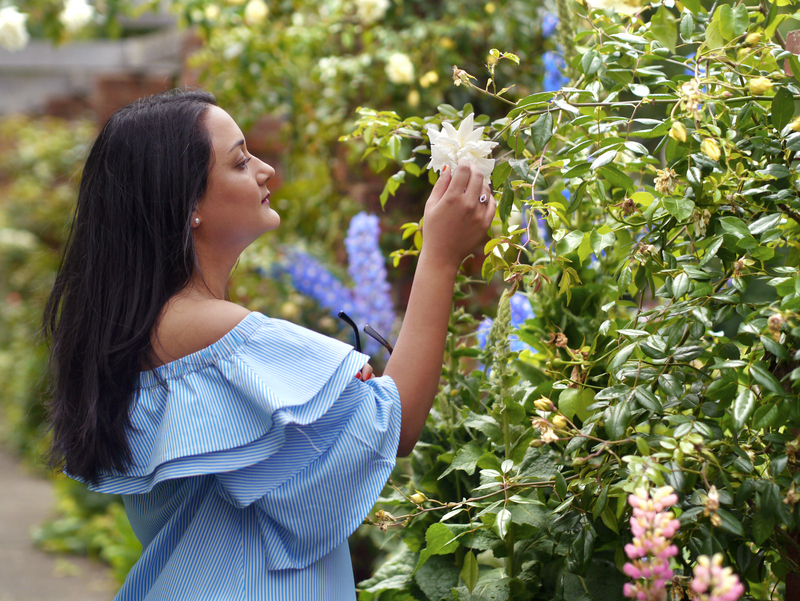 This light blue dress is a great colour and complements my dark hair. If you look closely the dress has a striped design, which again adds an extra detail to it.